We believe in encouraging our children to become happy, resilient learners, developing their thirst for knowledge and their ambitions whilst enabling them to be compassionate and prepared for the world ahead. By providing a safe, nurturing environment with an inspiring curriculum that both challenges and provides memorable opportunities to excite, experiment and enquire. 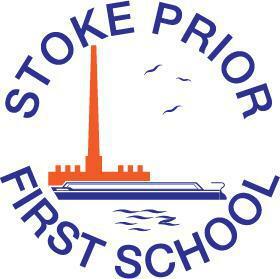 Our vision sets out what we want all of the children to be like when they complete their learning journey through Stoke Prior First School. We have four core school values that underpin everything we do and everyone strives to achieve them every day. We welcome and value all children laying the foundations for life by offering a positive, rich experience for all making learning memorable. We provide a safe, friendly, well resourced and stimulating environment where children are happy, feel safe and are guided and supported to achieve their personal best. Children achieve high standards in literacy, numeracy, science and computing and will be engaged by learning that meets their needs, is interesting, provides challenge and develops and excites their imagination. All children benefit from a rich, broad, balanced curriculum with opportunities for first hand experience, practical work, investigation, creativity, physical activity and learning through play. This curriculum will be enlivened and enriched by visits, visitors, use of the environment and after school learning opportunities. At the heart of this will be the development of independent learning skills enabling our children to successfully meet the personal and economic challenges of life in the 21st century. We promote healthy choices and lifestyles, positive behaviour, equal opportunities, independence, spiritual development, appreciation and value of cultural diversity and making contributions to the community. We aim to equip our children with the skills and values to lead productive lives in modern day Britain by promoting the fundamental British values of democracy, rule of law, individual liberty, mutual respect and tolerance of those with different faiths and beliefs. We maintain high expectations and a commitment to excellence at all levels of learning, teaching, leadership, management and governance. We work in a close and effective partnership with parents, carers, Children’s Services and the wider community.